Small Victories: The True Story of Faith No More – ‘When I first heard about this Faith No More biography, I didn’t know what to think. But I have to give credit where it is due, it’s a quality piece. The man has done his research and it shows. It provided me with more than a few revelations … and I’m in the band.’—Bill Gould, Faith No More This is the definitive biography of one of the most intriguing bands of the late twentieth century. Written with the participation of the group’s key members, it tells how such a heterogeneous group formed, flourished, and fractured, and how Faith No More helped redefine rock, metal and alternative music. The book chronicles the creative and personal tensions that defined and fueled the band, forensically examines the band’s beginnings in San Francisco’s post-punk wasteland, and charts the factors behind the group’s ascent to MTV-era stardom. Small Victories strips away the mythology and misinformation behind their misanthropic masterpiece Angel Dust, explores the rationale behind the frequent hiring and firing of band members, and traces the unraveling of the band in the mid-1990s. It also examines the band’s breakup and hiatus, explores their unwelcome legacy as nu-metal godfathers, and gives a behind-the-scenes view of their rebirth. 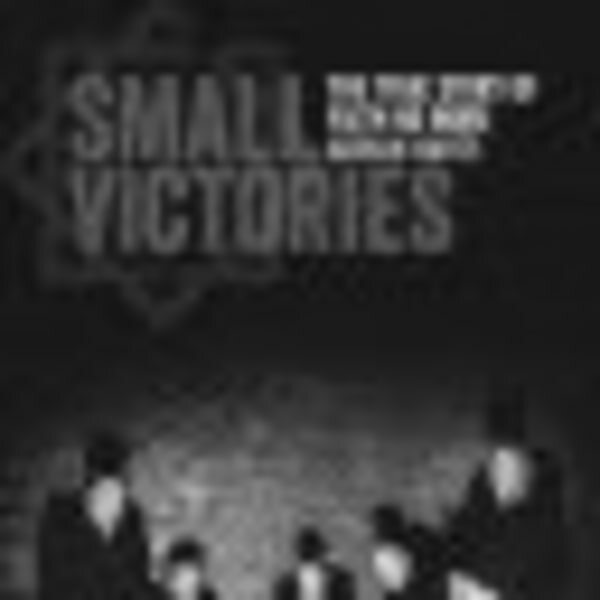 Based on meticulous research and hundreds of interviews with current and former band members and other key figures, Small Victories combines a fan’s passion with a reporter’s perspicacity. ‘A fabulously detailed dissection of the life and times of one of rock’s most idiosyncratic, fractious, and gleefully perverse collectives.’—Planet Rock ‘Impeccably researched and detailed … Essential.’—Classic Rock ‘A fascinating insight into one of the greatest bands ever to capture—and perhaps fracture—the public imagination.’—Record Collector ‘A solid, well-researched, and affectionate portrait’—Irish Times ‘Adrian Harte’s extraordinarily dense biography presents a strong case for the band’s depth and multifacetedness.’—The Wire Adrian Harte is an experienced journalist and communications professional who works as a media intelligence manager for UEFA, the European football governing body. Since 2009 he has run newfaithnomore.com, through which he has become known and trusted by the band, its management, and its fans. He lives in Aubonne, Switzerland. FAITH NO MAN – Faith No Man” is a tribute to ALL eras of Faith No More. The band has captured every aspect of Faith No More’s live performances. The gut wrenching screams and schizophrenic body slams of Patton. The thunderous drums and insane grooves of Bordin & Gould. The Silky smooth keys from Roddy, layered with the meaty crunch of Big Jim/Jon Hudson’s guitars. They are all in Faith No Man’s live shows, which have established them as The Ultimate FNM Tribute, earning them recognition from members of Faith No More. The band deliver a visual and musical experience that will leave anyone watching them knowing that it’s as close to Faith No More as it can be..Enjoy!